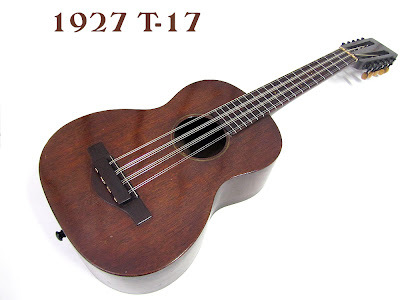 The model shyly appears in the Martin logbooks in 1924 with six instruments and no fabrication in 1925 as the company built 725 "T-18" models in the same period . After six years of blank production the T-17 was here again in 1947 but only for three years as the T-15 appears in 1949 and replace the T17 model. 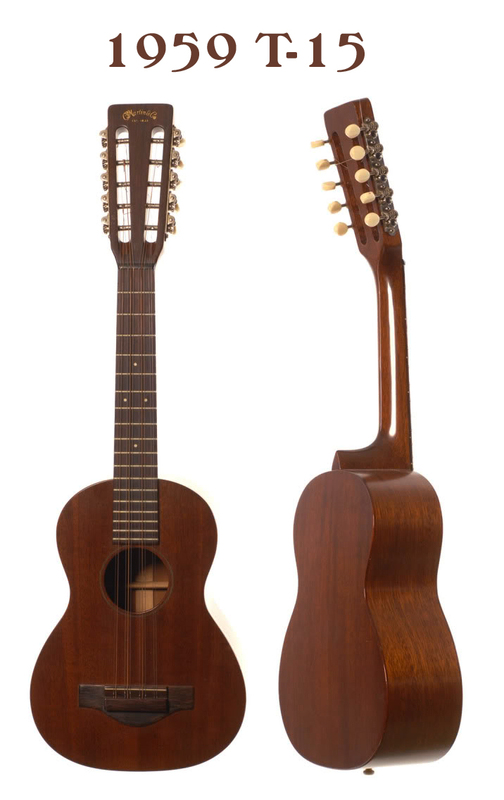 The only model difference is a rosewood bridge. 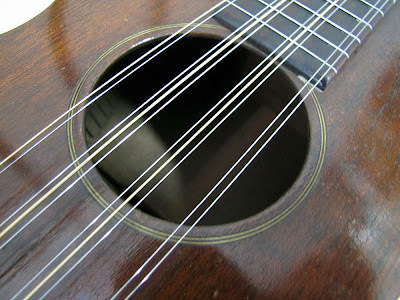 As for ukes the Martin decal appears probably in front of the head around 1932 as the stamp disapeard behind the head. Combining the two models we have a total of 2130 of these uncluttered masterpieces, sleeping in attics or singing in your fingers and offering as their fancy expansive sisters, this powerful magic crystal sound . Informations and Martin Tiples production log book pages is shared here, in this other great MartinTiple fan blog : Brian Myspace page. 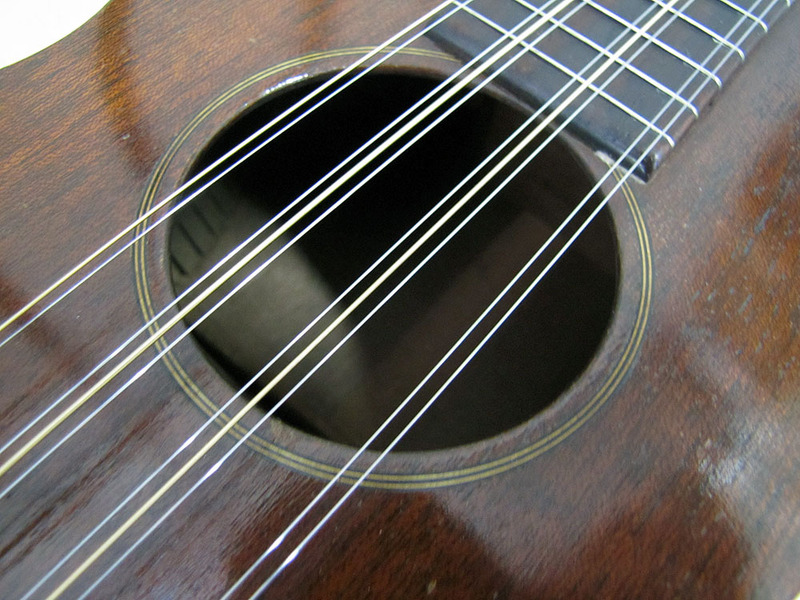 The simple B&W circles around the hole made the T-15/17 a direct cousin of the Martin Style-0 ukulele. Hey, take a look at this tiple: http://antebelluminstruments.blogspot.com/2011/11/c1925-lyon-healy-made-banjo-tiple.html -- not Martin, but Martin style, I imagine, and way unusual. incredible, rare, unknown instrument !! I'll post the link when I'll talk about curiosities in the american tiple family . I like this site to!